He knows gold when he sees it. “I can tell the number of carats of an ornament if you place it in my hand,” says Rafiq Papabhai Sheikh. “I am a johari” (jeweller; in his case, a jewellery craftsman). 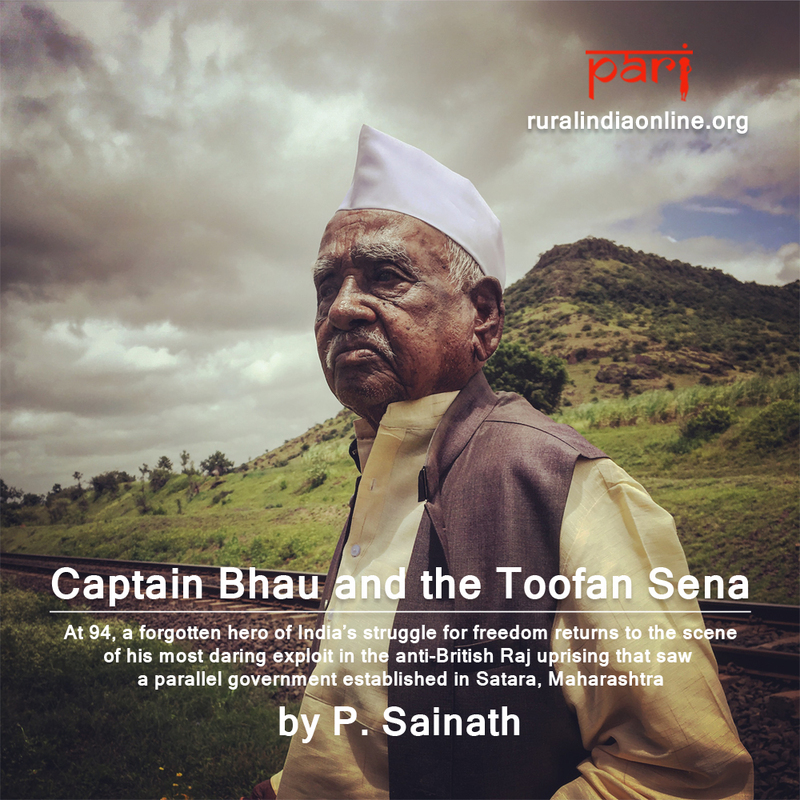 He’s talking to us in Padvi village on the Pune-Satara highway, where he might just have struck gold again. This time with a restaurant that is about to open. We were driving through Daund tehsil on the edge of Pune district when we crossed it. A brightly coloured shack-like structure: ‘HOTEL Selfie’ emblazoned in green and red across the top. We turned around and zipped right back. This, we had to see. “I actually set up the restaurant for my son,” says Rafiq. “I myself remain a johari. But I thought why not get into this line as well, for him? There is traffic along this highway and people stop for chai and food.” Unlike many other such structures, he’s not positioned it on the edge of the highway, but left several yards of space in front of it. So people can pull in with their vehicles – just as we did. 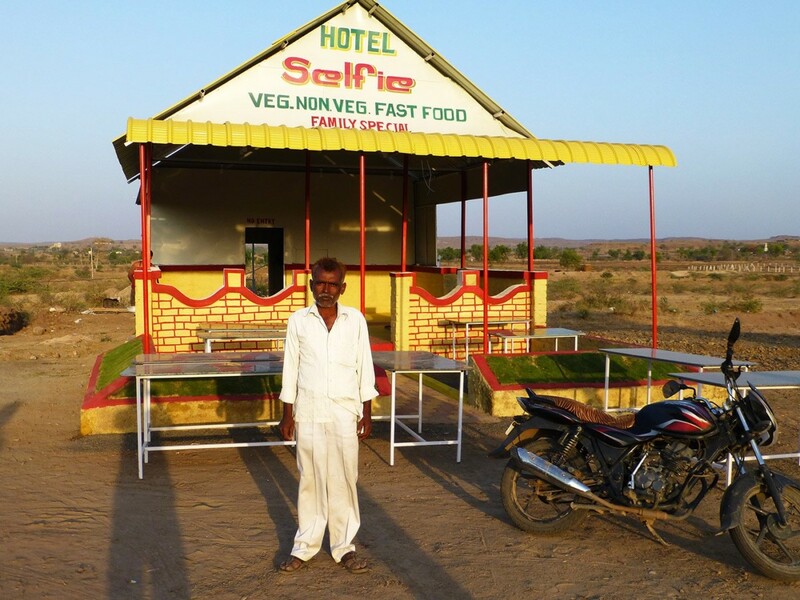 Rafiq is delighted when we say it was his hotel’s name – Selfie – that drew us back when we were in fact racing to meetings in Satara. He lets out a huge guffaw, all the time giving his son a did-I-not-tell-you-so look. He has chosen the name himself. No, we didn’t photograph Rafiq taking a selfie in front of his little restaurant. That would have been too obvious and clichéd . And would only distract attention from his unique ‘first’. Somebody, somewhere, had to name a hotel as ‘Selfie.’ He did, before others. The first that we’ve come across, anyway. (In most of rural India, all restaurants, eating places, dhabas and chai shops tend to be called ‘hotels’). In any case, there are surely going to be swarms of travellers and tourists stopping here to fulfil their personal selfie-ish clichés once the hotel opens. More perhaps for the selfie than for the snacks. The chai might be forgotten, but you will carry Hotel Selfie with you always. A different take on the lines from that great old Eagles’ song: you can check out any time you like, but you can never leave. Make no mistake, Rafiq Sheikh’s Hotel Selfie will draw the crowds. Rafiq senses that, too. He knows gold when he sees it.